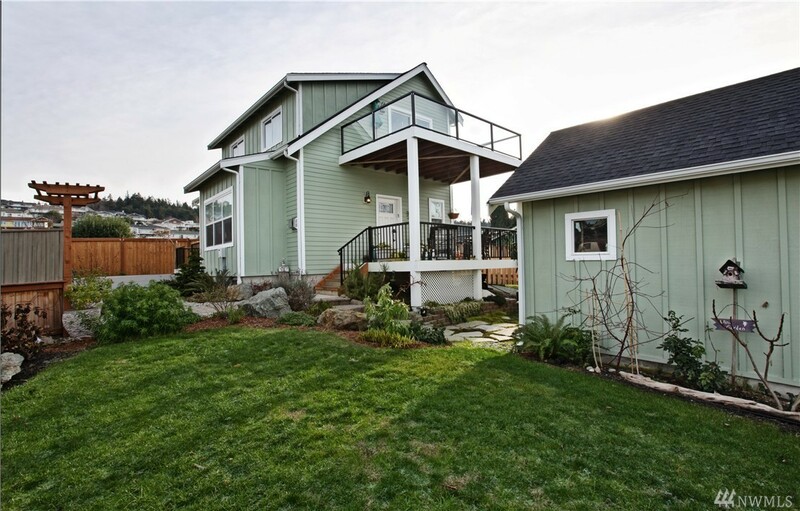 Captivating two bedroom Madrona Beach home sits aside a garden landscape w/in a fenced yard. A covered entry opens to a gourmet kitchen complete with island prep and entertainment center. A propane fireplace with room for a dining set or sitting area is to one side. A spacious family room with French doors to a lovely new deck is currently a master bedroom with a full bath featuring heated tile floors and art crafted sink. One of the two upper bedrooms features a Saratoga Passage view deck.